We are a vehicle storage facility in rural surroundings based in the West Midlands/Warwickshire. We are within 5 miles of M42 junction 5 which has further links to the motorway network M40/M5/M6/M1. We have been caring for clients’ vehicles for some 6 years. We offer a no-frills storage in our secure - airy - dry - fully red care alarmed facility for either long or short stays. 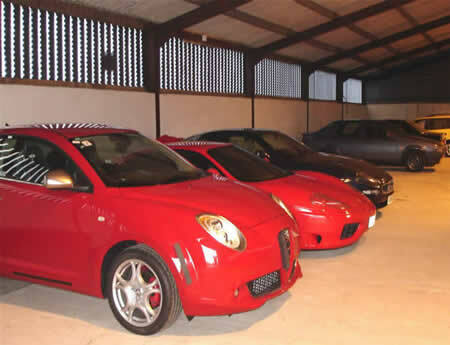 We store for individuals - dealers and a prestige Italian car main agent. Cars - Motor Cycles - Jet Skis - Quads - Trailers etc. Basic storage from £17.50 per week.